Do Car Washes Really Offer Sparkling Good Deals? If you have a car, you usually want it to look nice. It comes down to pride, doesn’t it? 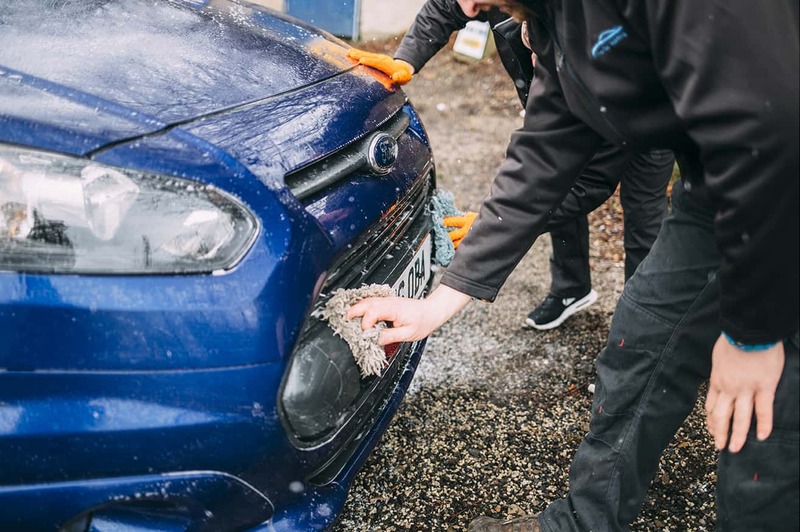 If you are taking the time to read a blog article about car valeting, then you also know that there is a difference (or a few of them…) between driving your vehicle through a carwash or even washing it yourself in your back garden, with a hose and a sponge, on a warm summer day; and Rafal, Arek, Krystian, Vidmantas or Tomasz coming out to your home and safely and professionally taking care of your valued motor. 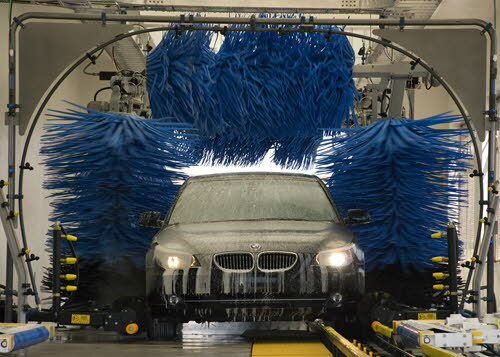 So here’s a bit of insight on how car washes work, and on how we operate. Even with the best of intentions, people are not trained to take good care of their car. Not really anyway. Anyone can find tutorials online made by car enthusiasts, but the issue with that is that there are almost as many opinions out there as there are enthusiasts. So it is really hard to navigate the mucky waters (see what I did!) of car valeting and find out if you are not actually doing more harm than good. Car washes offer a basic wash for as low as £2. Our Exterior Safe Wash is £24. It is pretty obvious that the services available in a carwash and the ones we are able to provide stand at two very different ends of the car cleaning spectrum. We do not see speed as being synonymous with convenience. What do you actually get out of a £2 seven-minute trip to the car wash? Well, most of the carwashes in the UK work using friction. Hard bristles, or more commonly now soft Lammscloth or Mitter curtains, work at removing any dirt from the surface of your paintwork. But as they brush fall-out away, the bristles or curtains also rub that dirt into the paint creating thousands of tiny scratches through your clear coat. We use lambswool mitts and the two-bucket method instead. Lambswool is a lot less abrasive than any other cloth or cleaning fabric, so dirt does not scratch your paint. And, well, two buckets instead of one: because, you know, clean water is better than dirty water! One bucket with soap to wash your car; one bucket with clear water to rinse the mitts off. Other car washes opted for the ‘touch-less’ approach: no bristles or brushes, only high-pressure hoses blasting water at vehicles going through. The good news with that is that the risk of damaging the paintwork is drastically reduced, though not eliminated. The bad news: is standing under the shower head, no matter how great your water pressure is, enough to make you feel clean? Or do you need a good scrub to consider the trip the bathroom a success? We think the latter! Car washes do put heavy chemicals in their water mix to try and dissolve dirt away, and it does work. But it also strips off any protective layer of wax or sealant. If it came to that, the average cost of respraying a car is around £2500. We have been very vocal about the benefits of keeping a coat of wax on your motor throughout the year and especially during the winter to keep your car paint vibrant and protected against grit. We think that undoing all that hard work and investment would be a shame and definitely not good value for money, despite the alluring original offer made by car washes.